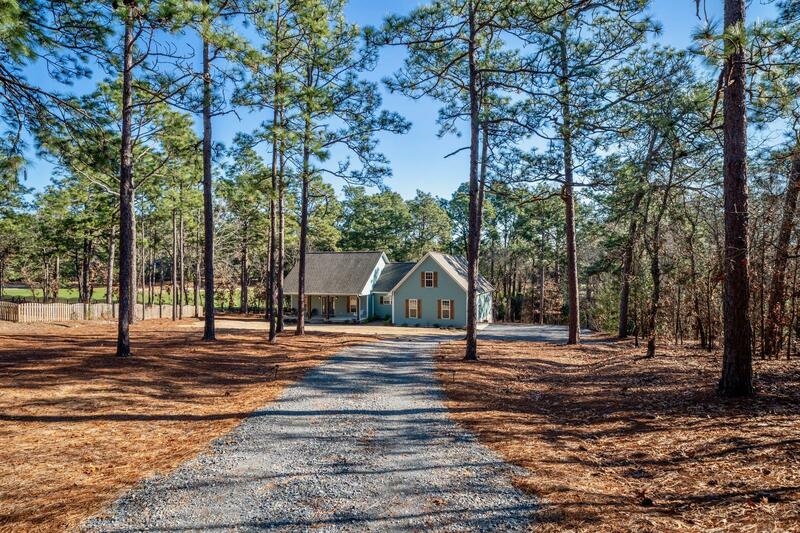 Charming 3/2.5 Craftsman nestled on private wooded .85 acre lot overlooking 8th fairway of Pine Needles minutes from downtown Southern Pines. No HOA! Open floor plan with 9' smooth ceilings, hand scraped wide plank wood floors, stone fireplace, chef's kitchen with breakfast bar, granite counter tops and apron sink. Split bedroom plan with generous master suite with walk-in tile shower, soaking tub, double vanities and his and her closets. Unfinished bonus room has great storage area, is framed and has electric; could easily be 4th bedroom with closet and 3rd full bathroom. Side entry garage with storage area and plenty of room for big trucks or SUV's, toys and golf cart. Easy commute to Ft. Bragg.